Paige VanZant (born March 26, 1994) is an American mixed martial artist (MMA) fighter and a former model. 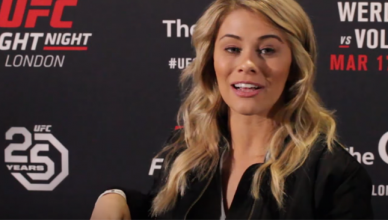 VanZant is signed to the flyweight division of the Ultimate Fighting Championship (UFC). 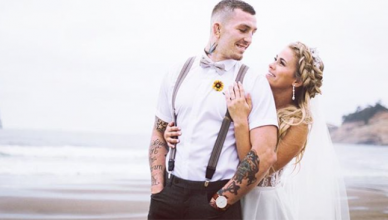 The UFC star has also appeared in the television series Dancing with the Stars and Chopped. “It’s something that’s inside of me and I guess not a lot of people are born with that, it’s something I was born with. I’ve kind of had that my entire life. I’ve always been a bubbly and energetic and happy person but when I get upset, I get frustrated; when someone makes me mad, I definitely have a temper and I’ve had to deal with having a temper my whole life. 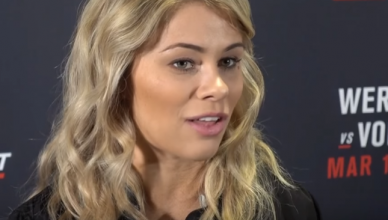 But I’ve been able to target it into fighting and it just helps me that I have this amazing outlet and not a lot of people have seen my crazy, mean side.” VanZant said during an interview with Fox Sports. 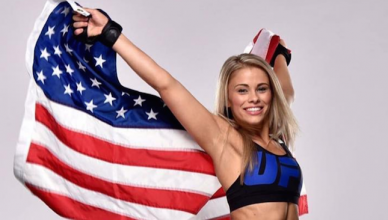 UFC women’s flyweight Paige VanZant is currently in between fights.